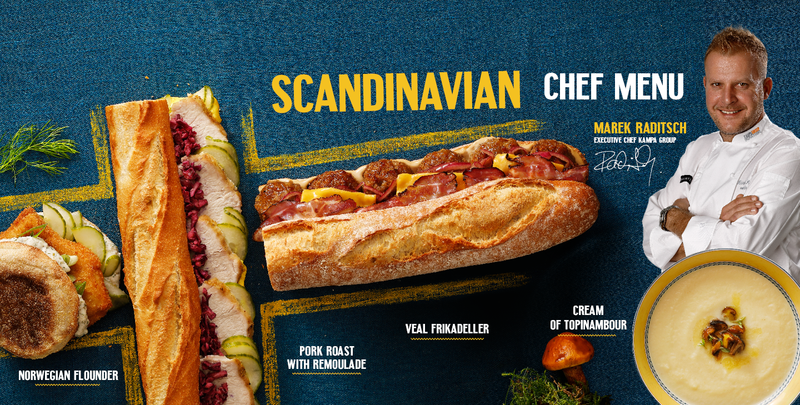 For Chef Menu I was inspired by the traditional meals from Sweden, Denmark and Norway, which I have modified into sandwiches. I believe this is the best that Nordic "street food" offers! 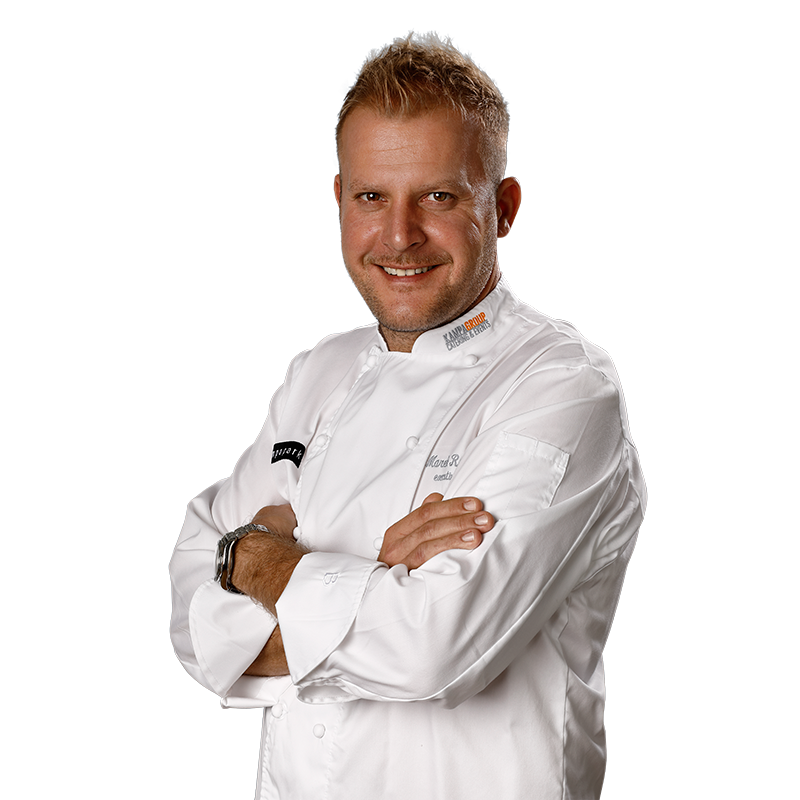 The Scandinavian Chef Menu was prepared by Marek Raditsch, Executive Chef of the Kampa Group, where he hosts fifty chefs. He served in Michelin restaurants in Copenhagen or Oslo, and Mick Jagger, the Prince of Monaco, members of the Norwegian royal family and many others enjoyed his meals. You could also see him as a jury in the MasterChef TV competition. What can be found in the Chef Menu this time around? How about a delicacy of minced veal, in Czech largely popularized by a Swedish furniture-manufacturing giant? However, veal Frikadeller also happens to be a Danish national treasure. This scrumptious baguette is filled with the goodness of minced steaks, smoked mayonnaise, wine-cooked onion - everything toasted inside a baguette with crispy bacon and cheddar. Second baguette of the Menu is Pork Roast with Remoulade. Juicy slices of pork meat interspersed with marinated cucumber, red cabbage salad and curry sauce promise an experience second only to observing of the Northern Lights. Norwegian flounder is considered to be one of the most popular and tastiest Nordic fish. Our flounder in crispy batter, with dill-caper dressing, pickle and spring onion is served in a somewhat unorthodox fashion – inside of a toasted muffin. Whether you find yourself in the throes of Scandinavian winter or catch the last glimpses of summer, the Cream of Topinambour will melt you in all the right ways. The root of this underappreciated plant is only seemingly similar to a potato. Topinambour has a milder, sweeter taste profile – all that and no starch content! We keep things simple and perfect the recipe with an adornment of mushrooms braised on butter. Even brave Vikings need to stay fit. In the Fit Calories menu you will find Danish Turkey Bread – roasted turkey breast with fresh celery-walnut salad and sliced white grapes in a pumpkin bread. 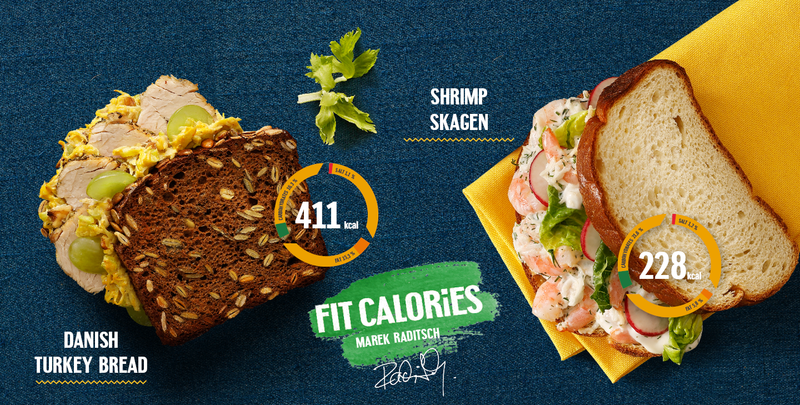 And last but not least comes the favorite Nordic dish of Marek Raditsch: Shrimp Skagen in a potato bread. Delicious combination of Greenland shrimp, dill with slices of red radish and salad is definitely something that can be eaten every day!